This series began with installmens 25-21, 20-16, and 15-11, and concludes here. When judging the merits of a cast as a whole it can get complicated. All the consideration of course is about how the cast acquits itself within the work in question. The two biggest factors are usually the depth of the cast and how high the bar is set that the players are clearing. However, it must be acknowledged that when you think you know an actor and you see them surprise you that’s a great joy. That happens on a few occasions in this film. One of those instances is Chris Pine. Yes, having just seen Horrible Bosses 2 I knew he could be funny but his seemingly Shatner-inspired take on Prince Charming along with a good voice make his turn a joy. Meryl Streep is seemingly always in search of the next thing to show that she can also do and knocking one of the showstopping numbers out of the park is quite a boon. The portrayal of the Wolf in Into the Woods can be one of the most problematic, but Johnny Depp is in very good form here. Daniel Huttlestone follows through on one-upping his breakout in Les Mis. Tracey Ullman brings her usual persona and vocal chops the table. Christine Baranski is a very welcome addition to the cast. Lilla Crawford breaks out and is the stage-to-screen transition in this cast. James Corden may get the breakout performer from this cast showing great comic timing, and affable persona and vocals. Emily Blunt now adds leading lady in a musical to the list of things she can handle easily along with action star in the same year. All the cast get kudos for helping to make a traditionally produced (music recorded in studio and played back on set) musical watchable anew. The editing, in fact, the entire production team depart-by-department excels. The only things that hold it back is that the edit could’ve been the slightest bit tighter in the home stretch, but it’s a film I already revisited and would gladly do so again soon. 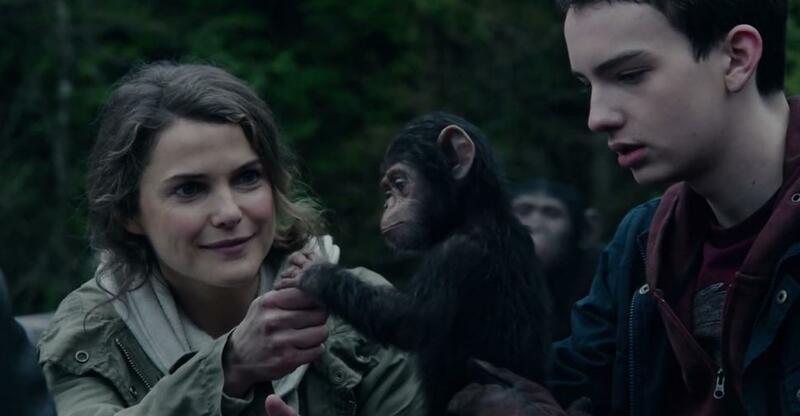 Chimpanzees? How many times can chimpanzees, and other apes, really work? At this point it’s hard to say but what Matt Reeves did here was highly improbable. He not only made this one a dramatic, tense, quasi-tragic tale with few missteps he also made images ridiculous out of context work so effectively. Not only did he do that but he managed a quantum of salvation on the first prequel without retconning the newly begun series, which is highly commendable. It’s impossible to say what the future of this series hold, but this is one of the too rare prequels that proves there can be more than a paint-by-numbers approach to these stories and something vital, important and current can come out of them. I may have been one of the few who expected even more than I got out of Guardians of the Galaxy having prepared for that release by starting on the Marvel series when it began. 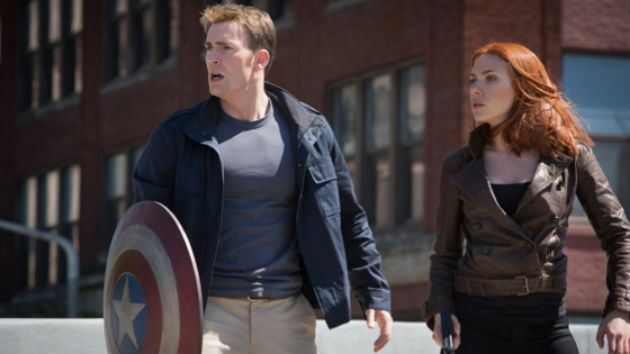 While most were blindsided by all the fun they’d have (and it is) and how cute Baby Groot is (and he is) what may be overlooked is the game-changing effect this installment has on the Marvel Cinematic Universe, one which also crossed over to the small screen and Agents of S.H.I.E.L.D. To say too much more would be to give it away, but I was quite floored with this one and got here and impact similar to those who lauded the first Cap I feel. As will be mentioned below the comedic and dramatic are balanced in this film, and the balancing act is not always an easy one in order to get equal effectiveness from both aspects. 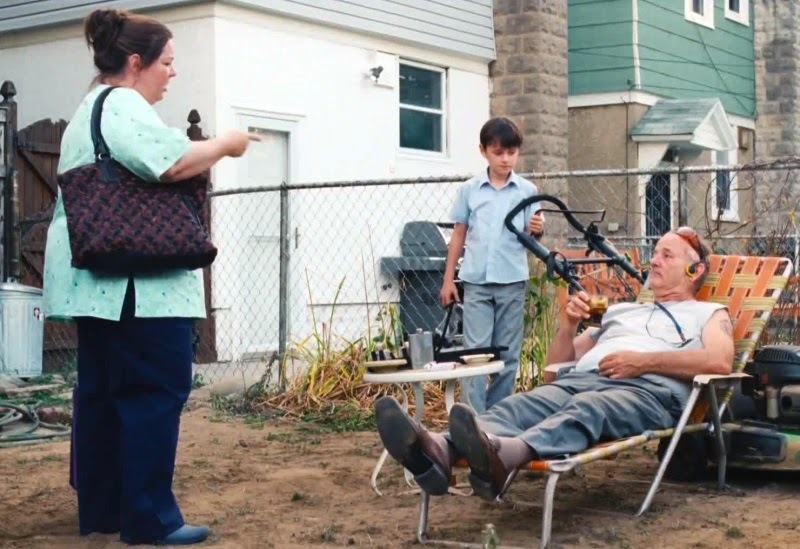 In actuality I feel St. Vincent works better with the more serious end of things. While the refreshing aspects of a New Age parochial school philosophy, some redefinition of sainthood do stand out, it is the common tropes where the careful handling of subjects by this film is best exemplified. 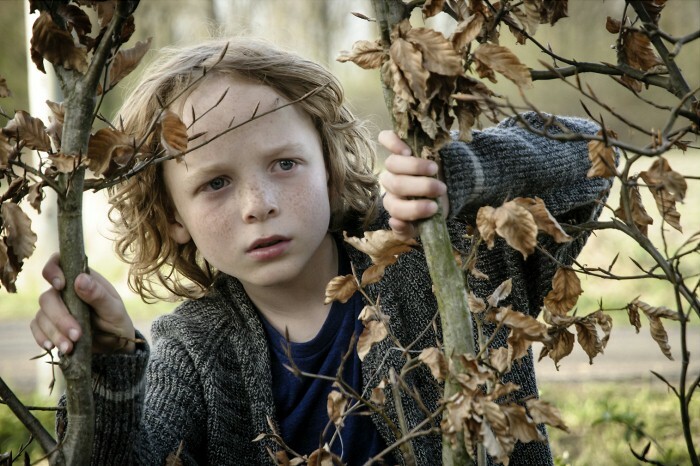 It also has a demanding conclusion for its young protagonist Jaeden Lieberher which he delivers on in spades. It may promise the classic manic depressive response (I laughed, I cried) but for me in this case it was true, and thoroughly enjoyable. 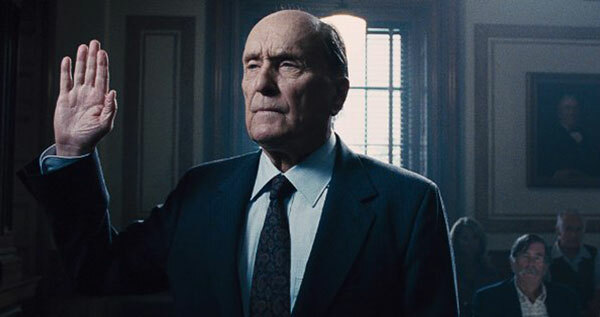 What takes Robert Duvall over the top is not just the exacting version of a crusty persona, not just the battle-weary fatigue of a life that’s fought back hard, but also the quiet truths that moments elicit from him. There is a universal individuality to character that he drives home, a kindness that exudes from beneath his gruffness and a sensitivity that circumstances and age bring forth from him. Robert Downey, Jr. is probably equally as capable as a serious and comedic actor. His sensitive portrayal of an estranged, jaded lawyer earns him a nomination anew. Even I, likely in the interest of time and economy of words, underplayed his performance. It’s refreshing to see him playing a character who is a flawed, hurt human being without supreme wealth or superhero tools; there’s scarecely a false or wrong moment in the entire film. It’s a film good enough to go from the seeming ridiculousness of him urinating on opposing counsel at the beginning and then have the balance to later strike home with real emotional stakes to walk the tightrope of anticipated mourning and laughing off the inherent ridiculousness of certain white lies parents have to tell their kids as evidenced when Hank washes his father after he’s soiled himself and told his daughter what she needed to hear to not see it. There are many moments not textbook that work on a number of notes in this film, and its that nebulous area of navigation that pulls it this high up the list. Transitioning from Saint Vincent where Brother Geraghty says that Catholicism is the best religion because it “Has the most rules,” to one about a Catholic priest, a good one facing a crisis on several fronts. In confessional his life is threatened in a week’s time. His questioning whether to name the parishioner (Doing so would violate an oath of his calling) and trying to dissuade him, forces him to reflect and question many things about life and faith and the state of the world. It’s one of two films on this list that are about religion’s role in the modern world, unafraid to tell the stories that dabble in doubt, that do not pander, and lack preaching to a choir but rather represent the dilemmas facing the characters effectively and sensitively. Intelligent discourse on religious topics in this day and age are welcome. ..The seriocomic balance being a factor as well as how much of a load a lead had to factor is ultimately what leads to Brendan Gleeson to the top of the heap. 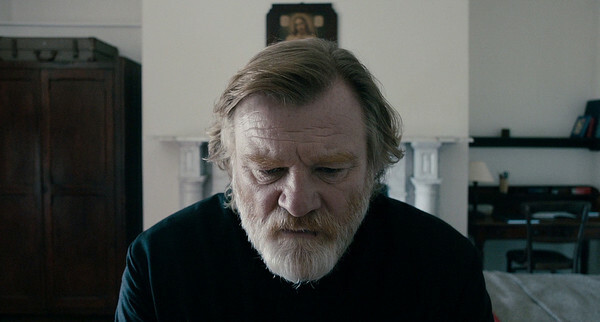 In a tale of a good priest in a world that openly questions the role of religion in the secular lives of parishioners the easy temptation is to write and portray that character simplistically; this priest is anything but the same goes for Gleeson’s nuanced detailed performance. It’s a film that allegorically reinterprets the passion and plays it in a modern context, but offers heart as well as questions, thought, critiques, humor, along with an example of piety. When you hear that a film approaching two hours in length is comprised of 14 long-takes it can be hard to imagine sitting and watching it. However, when you take into account the film is called Stations of the Cross (Of which there are 14) then things start to coalesce a bit more. Earlier this year I wrote a post where I chronicled how in one way or another Hollywood was fighting a losing battle in its attempt to provide faith-based entertainment. Whether it be the fault of the film, or the faithful there has usually been a disconnect. While on the indie circuit films like Calvary have proven that just because a film deals ostensibly with ecclesiastical concerns doesn’t mean it needs to pander or be bereft of intelligence as far too many faith-based films feel they need to be. In following a pattern where I have factored in the US distribution status of a film into choosing the recipient of this prize Stations of the Cross takes the cake here. The transparency with which this film transcribes the fourteen stations of the cross make it accessible and the debate or interpretation and non-judgmental character study make it a film that can be relatable to an audience whether they agree with the application of Catholicism practiced in this film or not. This is a film populated by deceptively hard characters to play: Finn, has to be simultaneously precocious in that he seeks greater meanings in life and his activities, but naive enough to believe in the improbable and even impossible. The deft scripting assists in that regard but van der Hoeven is often the one, as the film’s namesake, carrying the scenes, who needs to connect with the audience and does. Shuurmans has to be simultaneously quiet definitively hurt and guarded. He has to be brusque with his son without ever alienating the audience and he succeeds in spades because as bad as the arguments get it’s always clear he is torn, has his reasons, but believes he’s doing right by his son. The film flows with such ease that it washes over you like a dream, which is fitting. This is a factor that should also make this film one that’s conducive to revisiting. 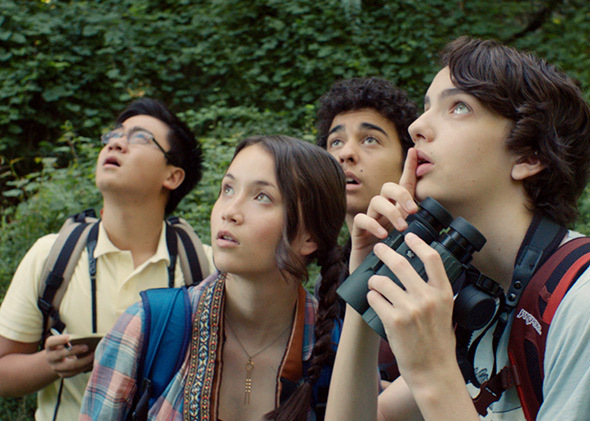 Considering that this film is repped by Attraction Distribution, who have had a good track record lately of getting European produced family fare seen in both Canada and the US, prospects of the audience for this film widening are quite good. This is most definitely a film worth finding. This kind of beauteous, lyrical family drama has nearly been the exclusive purview of Benelux in recent years. It is a moving, sincere film ought to be discovered, and one of the best of the year to date. Those things (humor, honesty and heart) matter a great deal, especially the middle one because there doesn’t seem to be an abundance of that in North American films. There is a bit more in indies but not too much. This film delivers those qualities in spades, is wholly engaging and as a side effect brings a nerdy hobby into a cooler light. 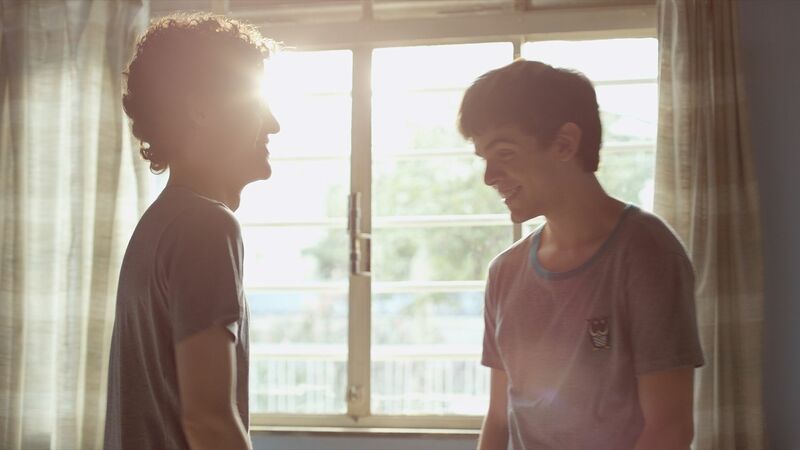 One of the most fascinating angles this film takes on is naturally the addition of an omnipresent burden or condition that makes the awakening of sexuality, and the self-realization of sexual identity, a bit more difficult. It’s also a quietly made statement about the fact that one’s sexual orientation is merely a part of a person’s identity. When examining the narrative progression in retrospect it’s clear some of his dissatisfaction and desire to find himself, perhaps abroad, has its roots in this as-of-yet unrealized facet of his personality. When all is said and done the statement The Way He Looks is never overt, but always clear. There are any number of ways you can extrude Leonardo’s blindness into a statement about love, but the film allows you to do that yourself and never says so in so many words. The delicacy of the handling of the story, the warmth it exudes throughout and the investment made in the characters that has you understanding their plight quite well is what makes the film’s conclusion so satisfactory and so well earned. And to close, it’s a tremendous stride for Brazilian cinema who has submitted some controversial choices for the Oscars. This seems to follow an upward trend and also follows up on the work that North Sea Texas did a few years ago for gay cinema. Here in a live blog format you will see this year’s nominees in the BAM Awards (Bernardo Villela’s personal selections) be posted. The honorees will be announced on January 9th. When the list is complete it will be indicated. Please note that the parenthesis around the word in Original indicates that at times songs not written specifically for a film are considered.